The most brilliant colors of Indian Art & Craft. Rajasthan is known as a Specialist in Handmade Wooden & Marble articles. Avaiability of high Quality marble and the artisans in the location has helped this art to flourish and become famous worldwide. 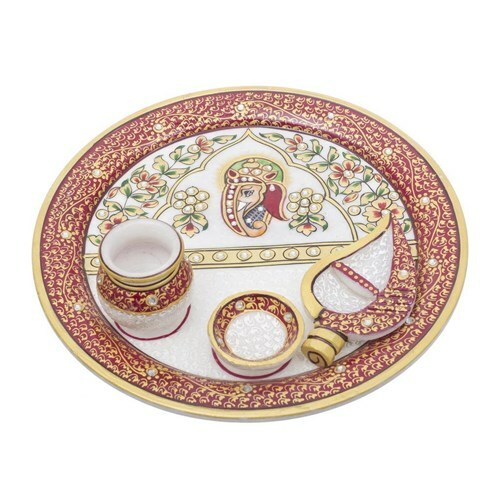 Utility :- Will be perfect fit as a showpeice item One of the great gifting options for all occassions across the world.